What company in the world has not been going through sudden shifts wrought from major, disruptive change? Consumer technology companies, health care companies, automakers, and smart phone manufacturers are among industries whose very foundation is more like shifting quicksand. To survive and grow, and even regain competitive advantage, many companies are grappling with ways to transform their businesses in the face of radical change. They are responding in many predictable and time-tested ways: changing CEOs and leadership teams, shifting strategies, rolling out new product lines, amping up innovation, cutting costs and restructuring. These are all the necessary things to do to react to change, but these actions usually only treat the symptoms of a chronic illness – hardening of corporate arteries – without curing the underlying cause. Companies may be missing out on the most important strategy of all: creating a culture of agility. This should be every CEO's first strategic priority because it is the culture that enables companies to flex nimbly in any direction and execute any strategy. Agile cultures translate into forward thinking and innovation, eschewing the ‘this is how we do it around here’ mentality that causes companies to freeze, and then fall quickly behind. Is our culture enabling us to be agile or impeding us? Does this describe your organization? If so, then a comprehensive diagnostic survey of the cultural traits of your company should be considered. It is the best way to get a true picture of this and a good start at determining next steps. In agile cultures, there is a ‘growth mindset’ of constant learning, trust and permission to take risks in order to learn from that that drives decisions, rather than a ‘fixed mindset’ that creates a myopic focus on what has made the company successful. At Senn Delaney, we guide CEOs on shaping their organizational cultures. They come to us wanting to overcome many business challenges. Some want to create a customer-centric culture. Others need to align the culture to a changing strategy and structure. Many want to overcome cultural barriers that occur during mergers. And naturally, most seek to increase innovation to be more competitive. These are all great goals, but what they are really are by-products or traits that result from shaping a culture in a desired direction. What CEOs actually need, even if they aren't stating it in these terms, is to build a culture of agility. This is really the cornerstone of business success in today's turbulent times of radical change. Watch the following short video with Senn Delaney CEO Jim Hart on why organizations with agile cultures perform better. Being infinitely adaptable is the key here, and there's really only one way to do that: create the culture that has the built-in capacity for agility. Amazon is a strong example of an agile organization. It has morphed from a Web-based bookseller to an online retail platform to a digital media powerhouse, and most recently, to a leader in cloud computing. And this continual change has taken place in the absence of a performance crisis, demonstrating an ability to envision changes and adapt instead of the reverse. Why should companies focus on creating an agile culture? Agility is linked to profitable growth: Massachusetts Institute of Technology research suggests that agile firms grow revenue 37% faster and generate 30% higher profits than non-agile companies. Nearly 90% of executives surveyed by the Economist Intelligence Unit believe that organizational agility is critical for business success. Yet, most companies admit they are not agile enough to mobilize quickly, respond positively and change to compete successfully. What are some barriers to agility? Internal barriers – the culture — prevent organizations from being agile. The barriers include hubris, complacency and resistance to change, poor decision-making, lack of alignment around strategies, vision and values, risk-averse mindsets, siloed thinking and turf wars. What are common traits of agile organizations? Agile organizations are optimistic in the face of challenge, never rest on their success, and regularly seek to improve even when they are successful. They embrace failure as a learning opportunity, have a strong purpose, a vitality and a learning mindset. There is alignment and clarity around the mission, and vision and values. Rapid decision making happens not just during a crisis, but every day. There is a strong ability to execute, high levels of accountability, customer-centric thinking and strong cross-organizational synergy. Can you create a culture of agility? Most executives have a sense of what agility means for their companies’ future. However, there is still a big gap between awareness of the need for agility and taking concerted action to become truly agile over the long term. Creating a culture of agility is possible and should be the first strategic priority of the CEO and senior leadership team because it is the culture that spawns an organization's ability to adjust in any direction and execute any strategy. 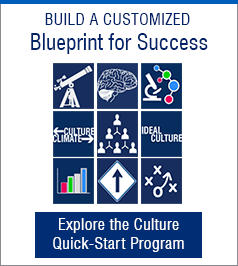 Transforming the culture requires a comprehensive approach and a focus on four key principles: purposeful leadership, personal change, broad engagement, with energy, mass and momentum, and focused sustainability. Adapting to change, while good, is not a winning strategy for long-term success. To be most productive, innovative and successful, companies need to be agile. And that is something you need to bake into the cultural DNA with purpose and focus. What do you think? Is agility a key to business success? Do you think about how you can personally remain agile in your business and as a leader? What traits do you think you should focus on to become more agile? Please comment on social media. Dr. Larry Senn is a pioneer in the field of corporate culture. He is chairman and founder of international culture-shaping firm Senn Delaney, a Heidrick & Struggles company. Larry's vision and leadership of four decades has helped Senn Delaney become an international firm that is widely recognized as the leading authority and practitioner in the field of culture shaping. Larry has led culture-shaping engagements for the leaders of numerous organizations, including dozens of CEOs of Fortune 500 companies, state governors, members of two U.S. president's cabinets, deans of business schools and the presidents of major universities. He is an accomplished consultant, business advisor, group facilitator, author, CEO coach and public speaker. Larry has co-authored several books, including Winning Teams, Winning Cultures and 21st Century Leadership. In 2013, he published his latest book, Up the Mood Elevator: Living Life at Your Best. This book reveals some profound principles, fascinating concepts and useful practical tools to help people improve their experience of life, enhance results, build better relationships and create success with less stress. Prior to founding Senn Delaney, Larry ran his own retail business in college, was a senior engineer in the aerospace industry and a faculty member at University of Southern California and University of California Los Angeles where he taught leadership. Larry has a BS in engineering, an MBA from UCLA, and a doctorate degree in business administration from USC. Read his full bio. Empower your staff or yourself with our industry-recognized Accreditation & Application Workshops. Our suite of assessments and simulations can help you measure and develop every level of your organization. © 2019 Human Synergistics International. All Rights Reserved.